I was in NYC for a trade show on Monday, 3/10/09. After a long day of walking around Javits, I finally had enough and needed to escape. On my way walking to Penn, I saw the green banner from B&H Photo in the distance. Should I stop? 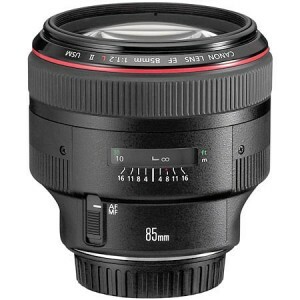 I have be saving up for Canon’s 85mm 1.2 Mark II lens forever! Every so often, I see a refurbished one listed on Adorama’s site for $1599. Great price considering a new one is close to $1900. But, Adorama only offers a 3-month warranty and it’s never in stock long enough to pick it up. That means tax+shipping+ waiting for it to arrive. So I stopped in B&H and went to the Used Equipment Dept. Sure enough, they have one used 85mm 1.2 Mark II in stock. The sales person Chris Karste (super nice guy!) looks at the listing and says with a surprised look, “it is rated a ‘9+’…practically brand new.” (Looking upside down at the computer screen, I could tell he was telling the truth.) He quoted me $1499 with a 3-month warranty and a 60-day return. After a little bargaining, I got him to include a 2-year MACK warranty for the same price! What a steal! I can’t wait for the first Spring flowers! NOTE–Remember B&H is closes early on Fridays and is closed all day on Saturdays. ← Previous Previous post: Annoying blinking cursor in Photoshop CS3! Next → Next post: Discounts on Peachpit Press books.